Ankur and I were mountain-lovers until a few years ago. We loved the wild flowers on the Himalayan slopes and the snow covered peaks. Neither of us knows how, when and why, our love for the mountains succumbed to that for beaches. 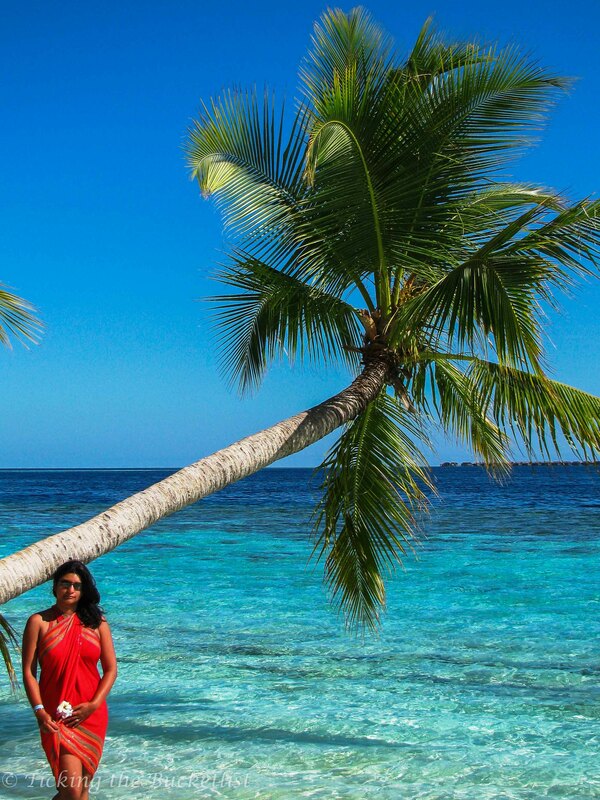 Now, we are drawn to sandy and rocky beaches alike and hence, are completely enamored by Maldives. It is amongst the few countries that we have revisited…and we would love to go back again and again! Visa: A thirty day free visa entry is issued to all nationalities on arrival. Flight: A return flight to Male from India/SriLanka can cost as little as USD 250 per person. Sea Plane: A sea plane flight sure is exciting…taking off and landing on water. 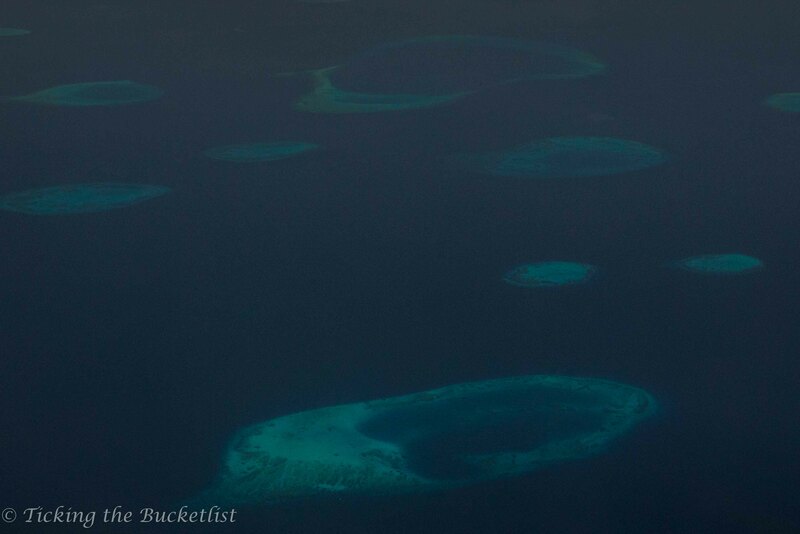 The views of the atolls from up above will make you swoon. Water Bungalows: Maldives is amongst that few places in the world that provides an option of staying in water bungalows… step into the ocean lagoon straight from your sun deck. Beaches: Sandy, sun kissed beaches are picture perfect….every picture will look like a postcard. Oceanic Lagoon: Most atoll are surrounded by a coral wall that break the high waves before they hit the shores. Thus, the oceanic lagoon is the perfect swimming pool created by Nature. Weather: It’s always warm and sunny in Maldives, even during the off season months from June – September, when it might rain for a couple of hours a day (still having over 6 hours of bright sunshine each day). Diving: The atolls are breathing with live corals, flying fish and mega marine life forms, including turtles, manta rays and whale sharks. Every resort has a dive school to let you bubble in the depths of the ocean. Male has plenty of dive schools that are much cheaper than those in the resorts. Snorkelling: Don’t want to don the cylinder and dive in deep blue ocean? No worries! 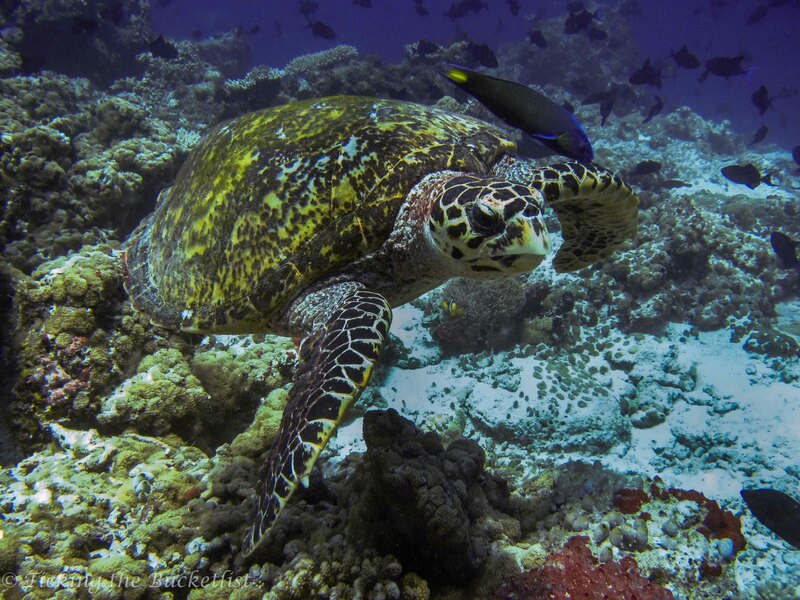 Snorkelling in Maldives is like swimming in an aquarium! Water Sports: Sailing, kayaking, windsurfing and more…there is enough and more to keep you busy. Surfing: While typical island resorts are surrounded by a calm lagoon, there are few islands that let you ride the waves, a majority of the locations being suitable for intermediate and advanced surfers only. Luxury: If you have the money to spend, you have the option of vacationing in uber luxury resorts that cost over USD 1500 per night. Spas: Spoil yourself and pamper yourself silly in the spas. As we lay on the massage table, face downward, parrot fish entertained us by swimming round and round in circles…and we could see the show as the spa stood on stilts in the ocean lagoon and the floor was made of glass. Budget: If you are a budget traveller, do not despair. You can enjoy the sun and sand by staying a bed and breakfast at Male which may cost you as low as USD 100 per night. Privacy: Whether you are staying in a luxury resort or in a budget B&B, you can always hop onto a day trip that takes you to an uninhabited island with a picnic basket for ideal the ‘Robinson Crusoe’ feeling. Food: Maldivian cuisine offers delightfully fresh sea food. Vegetarians, do not despair. We loved the cocnut based vegetable curry, made in the Maldivian style. 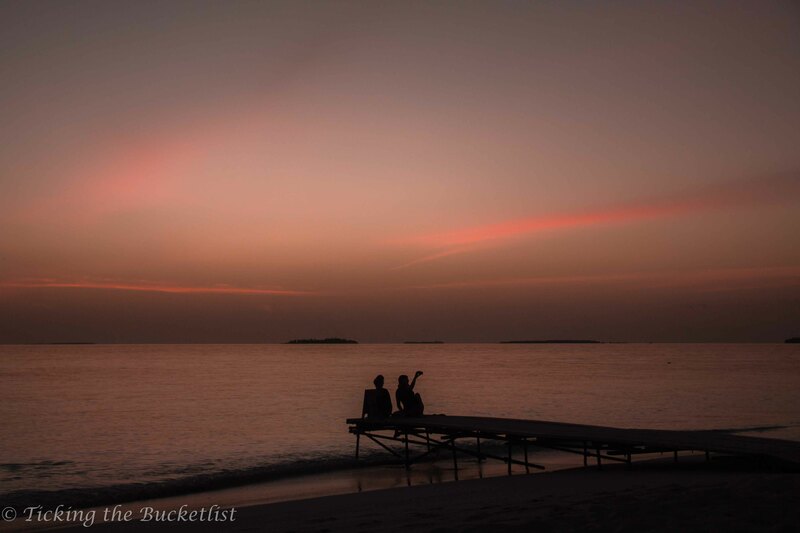 Sunsets: The Maldivian islands have shown us some of the most colourful sunsets that we have ever seen! Visit before its too late: Global warming and rise in oceanic water levels might result in islands going down under…visit before its too late! People: The Maldivians are a friendly bunch, especially the staff in the resorts. Being a tourist destination, service levels are high to ensure that you have a happy vacation. Packing: How much would you want to carry if you want to spend the entire day at the beach or in the sea? A small backpack with a couple shorts, t-shirts and swim wear…and you are all set to leave. Don’t forget the camera! So, when are you off to Maldives? Nice list of things to explore in Maldives. Thanks Niranjan! While there are 20 points, snorkeling and diving is my personal favourite! There are ways to do it in a budget now. The local govt has allowed B&Bs. Hope to do a budget trip this year and post an update! What a gorgeous place to visit! I can just imagine beginning the day with just the ocean outside the door…sound peaceful and relaxing. That’s good that it’s possible to go anytime of year and good weather is guaranteed. I need to go to the Maldives, thanks for giving an idea of the hotels, at those prices I think I’ll stay in Male and take day tours. You have put an urgency on my trip by mentioning the global warming and that the Islands could sink! The Maldives is on all of my friend’s bucket list and may have gone there. It has not been on mine but you sure give some compelling reasons to go there. I was mainly concerned of cost but you provided some nice alternatives to going the expensive route. Thanks for providing some cost information. Enjoyed the post. Number 18 reason is so true and so sad! Global warming is slowly killing nature, and wildlife. I haven’t been to Maldives yet but definitely want to. I didn’t need twenty reasons, but they are all good ones! Your pictures make it look so lovely with the turquoise water, palm trees, and tropical fish. So sad that we are going to love the Maldives (and so much more) to global warming. Even before I read your post, Maldives has always been on my bucket list. Just seeing those gorgeous photos of the beach and the sunset… ahh, I want to go there right now. But I didn’t realize there are more reasons to go. 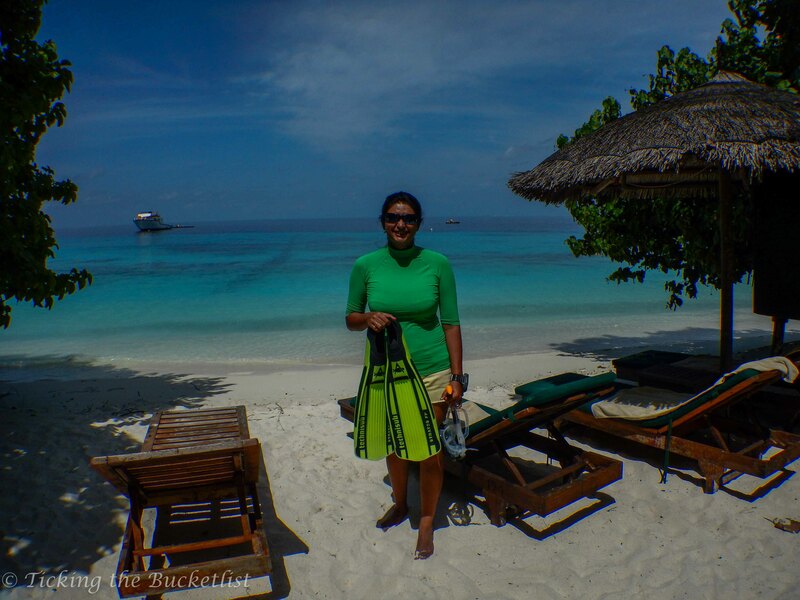 Your photos of Maldives are just beautiful too – the ocean behind you with the snorkeling gear is unbelievably gorgeous! I want to go to the Maldives so bad! I love just about every one of your suggestions. I’d love to do uber luxury but $1500 a night is s but out of my budget…. OOH I would love to visit the Maldives. Wanted to before, but this blog post has enhanced my travel envy lol The main reason I would want to go is diving though. Couldn’t stay on the beach the whole day.